Pierre Gasly has clarified that the Fernando Alonso jibe he made over team radio after finishing fourth in the Bahrain Grand Prix had more to do with building up Honda than it did with criticising McLaren. The Frenchman exclaimed over team radio, “Now we can fight!”, which were the words Alonso used when he finished fifth at the Australian Grand Prix. Alonso’s comments were taken as a thinly veiled criticism of Honda, whose power units McLaren dropped in favour of Renault engines over the off-season. Honda, however, has picked up its game in partnership with Toro Rosso, and though Gasly’s car experienced a significant power unit failure in Melbourne, necessitating a parts change after just one round, the upgraded components combined with Toro Rosso aerodynamic upgrades enabled Pierre to qualify sixth in Bahrain. His fourth-place finish, aided by Red Bull Racing’s double retirement and Kimi Raikkonen’s withdrawal from the race after his pit stop blunder, was the best result recorded by Honda since it returned to the sport in 2014, and it was this fact that Gasly said he was referencing in his post-race message. “I think we need to give credit back to Honda,” he said. “In the end, they have had a tough three years with McLaren and to finish P4 in the second race with them was just amazing. 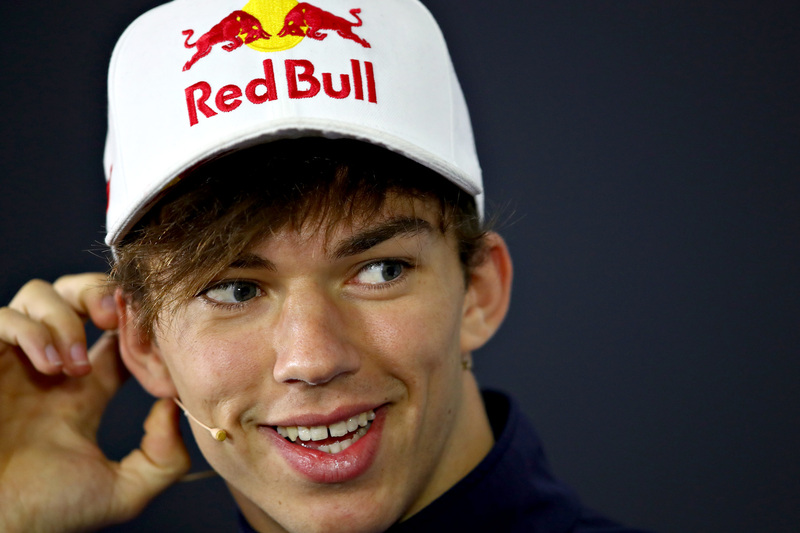 Gasly added that he had received a lot of negative interaction from Spanish Formula One fans who construed his comments as criticism of Fernando Alonso. “Don’t get me wrong — I must say I had pretty tough messages after that, after the race, by some Spanish people who are actually quite crazy — I have huge respect for Fernando,” he said. “Fernando for sure is one of the best drivers of all time in Formula One and one of the drivers I looked up to when I was young, one of my idols actually. It escaped few, however, that Gasly tactically used a soft Spanish ‘j’ in his attempt to quell fan disquiet. “It was simple, it was just a little yoke (joke), that’s it,” he said, smiling.